Vertex has revealed financial figures that are likely to go down well with investors, but not patients in the UK who are eligible to receive the revolutionary drugs like Orkambi yet are being denied access because of an ongoing row with NICE. The UK is an important market for Vertex because of its large number of cystic fibrosis (CF) patients– it’s estimated that more than 10,000 patients have the disease in the country, the second largest patient population in the world. 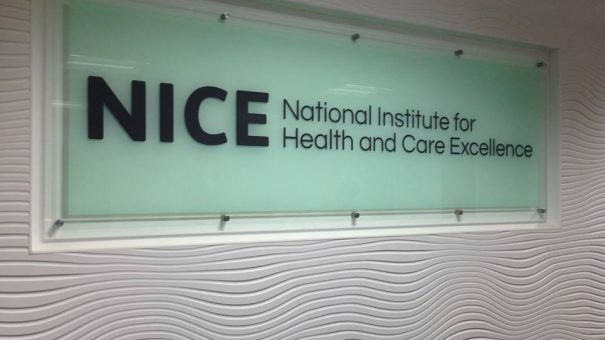 But in a call with investors chief commercial officer Stuart Arbuckle said that the company is unwilling to submit files to NICE, which assesses the cost-effectiveness of drugs in England, and in most cases Wales and Northern Ireland. Arbuckle said the company would not be willing to file “clear and compelling” results from its yet-to-be-approved therapy VX-659, which could treat around 90% of CF patients, as NICE’s assessment would never justify the price that Vertex has in mind for the drug. Vertex announced last year that it is unwilling to submit files to NICE until it changes the way it does its assessments. The company is however preparing to file dossiers with the Scottish Medicines Consortium, which assesses drugs north of the border under devolved arrangements. Analysts asked whether a drug with “better pharmacoeconomic value” might make it through NICE’s assessments – and the answer from Vertex was negative. Arbuckle said: “In England unfortunately we have yet to reach an agreement (NICE) on what we consider to be an appropriate methodology but we are not going to give up on that, we are going to continue to fight to get access for patients in England as we have around the rest of the world. “We know what the results will look like even if we put the triple combination regimen through the existing NICE methodology, even if the results are as good as we saw with (VX- 659) in the phase 3 study we released in November. For the full year 2018, Vertex said CF drugs revenues were $3.04 billion, an increase of 40% compared with 2017. This is set to increase to between $3.34-3.55 billion in guidance announced during the call, based only on existing reimbursement deals starting to bring in revenues. Vertex struck deals in Australia, Sweden and Denmark last year, following on from deals in Germany, Italy and Ireland in previous years. If Vertex gets the drug reimbursed in the UK and other countries, it will update the guidance, Arbuckle said. Kalydeco (ivacaftor), Vertex’s oldest drug generated sales of $1.01 billion last year, up from $845 million in 2017. Orkambi’s sales were $1.26 billion, down from $1.32 billion in 2017 as patients in the US switched to Vertex’s latest drug Symdeko, which generated $769 million in its first year on the market. A UK patient group this week called on the government to provide Orkambi on the NHS at a much cheaper price, using “Crown use” legislation allowing the government to disregard patents for drugs for the wider benefit of society.